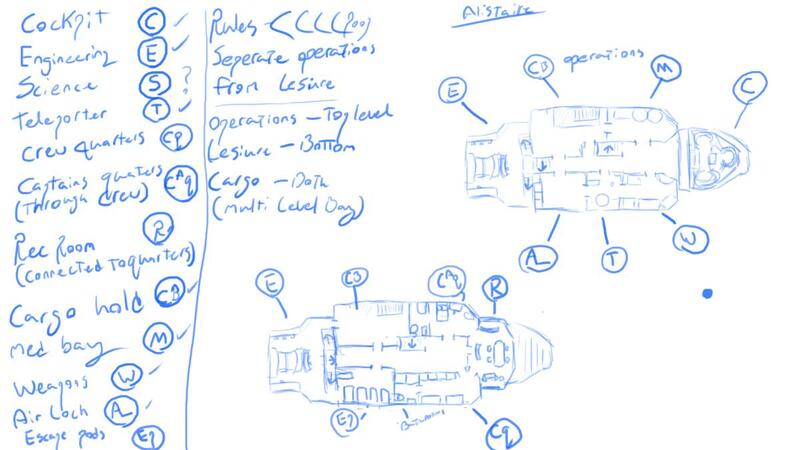 I have begun to draw up a ship design that I thought would be awesome and have decided to document my design process on here. 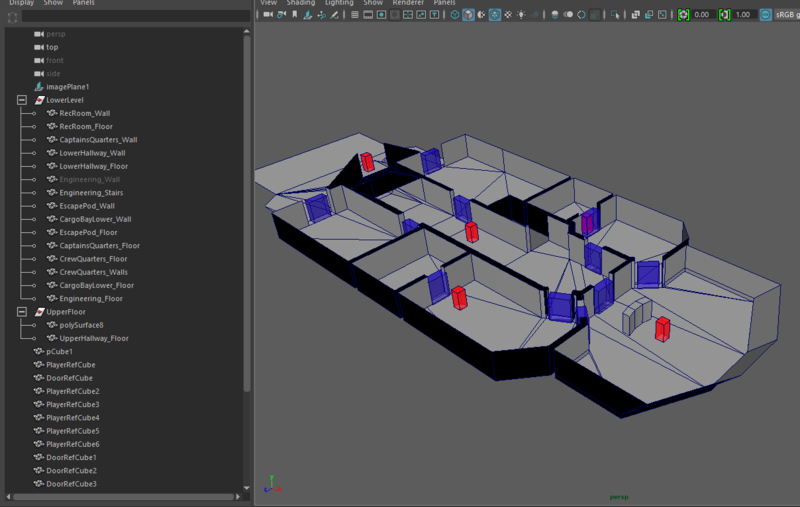 5: Block out modelling for 3D. 9: Add to unity to test how the textures and models work with the engine. 10: show the design to LeafyGames and see if they like it. Last edited by DeadWeight4U on Wed Aug 05, 2015 12:37 am, edited 3 times in total. 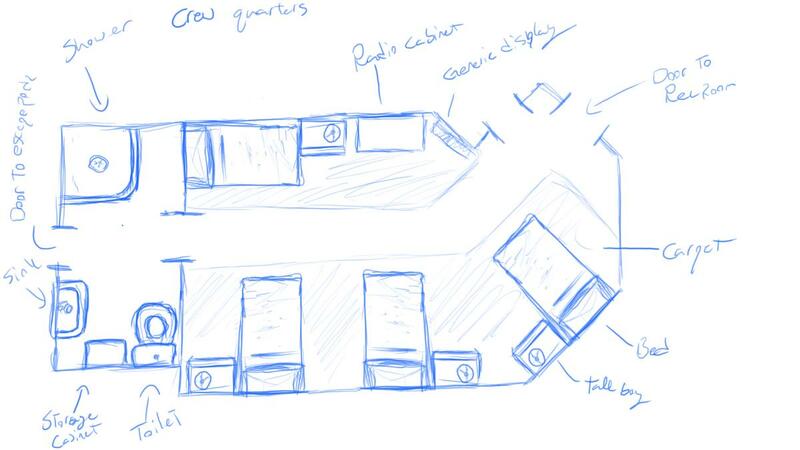 Current Layout concept... Two level ship. 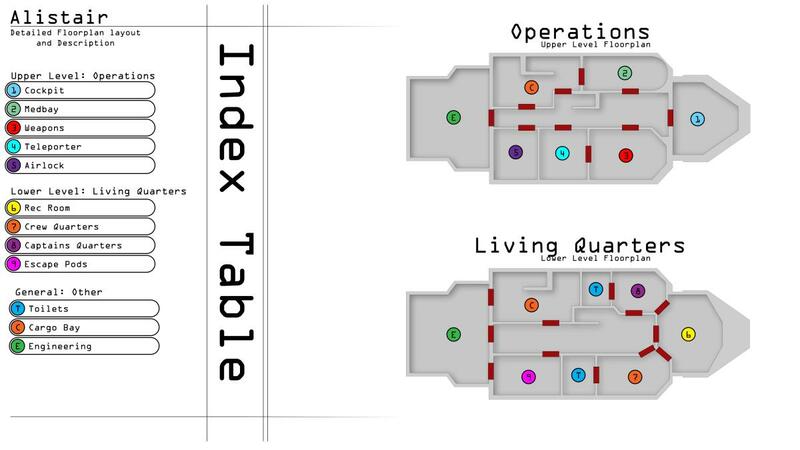 Top level is Operations and Bottom level is Crew Quarters. Went over the design for about 2 hours, this is obviously just the interior but I will work on exterior once this is all finished. 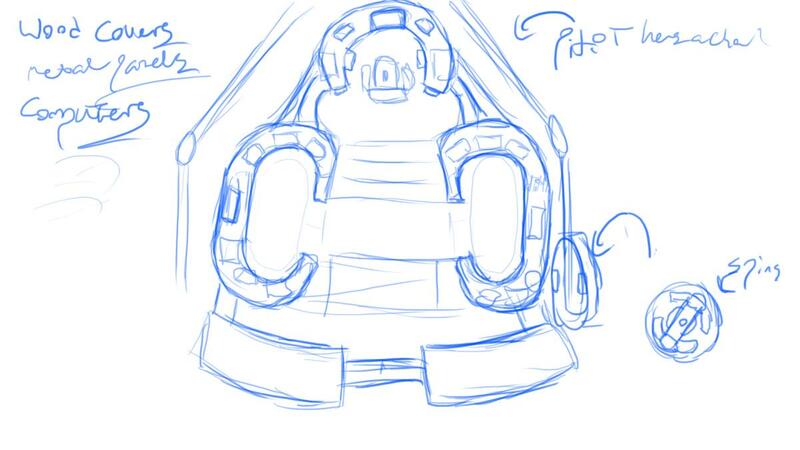 A more detailed look at the Cockpit, Med Bay and Teleporter rooms. 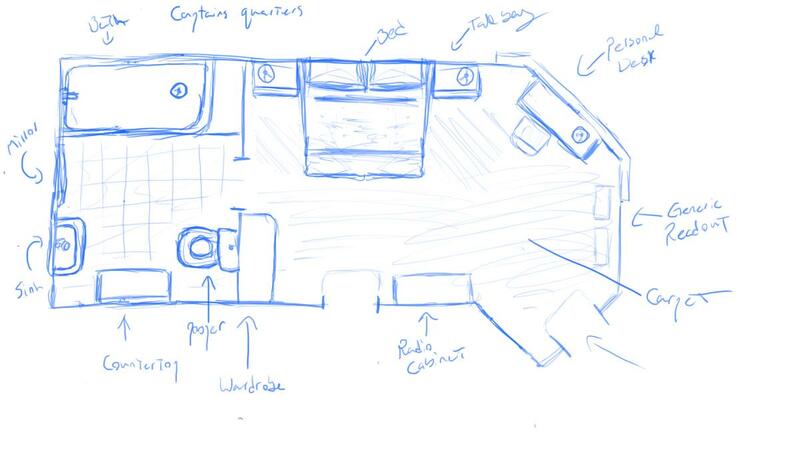 The Crews Quarters, The Captains Quarters and the Recreation room. 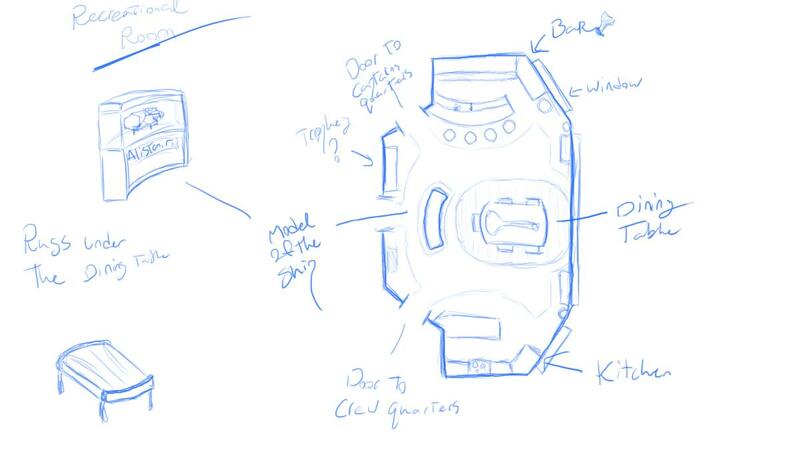 I have a few more rooms left to sketch out before I do a more accurate floor plan. 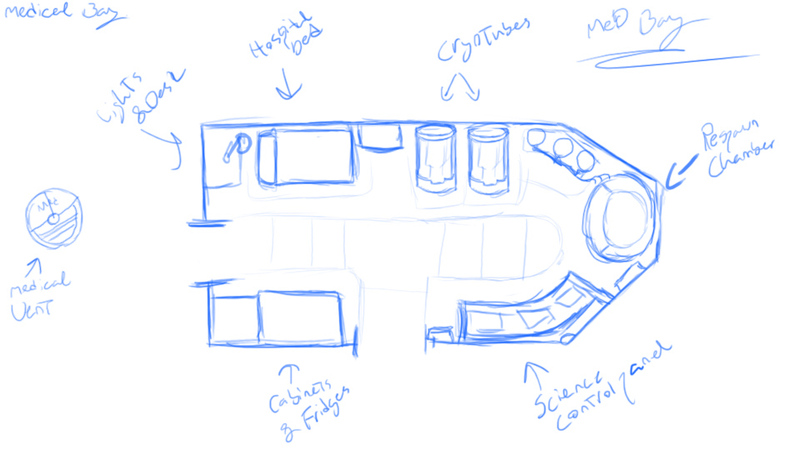 A more accurate, detailed floor plan of the Alistair. 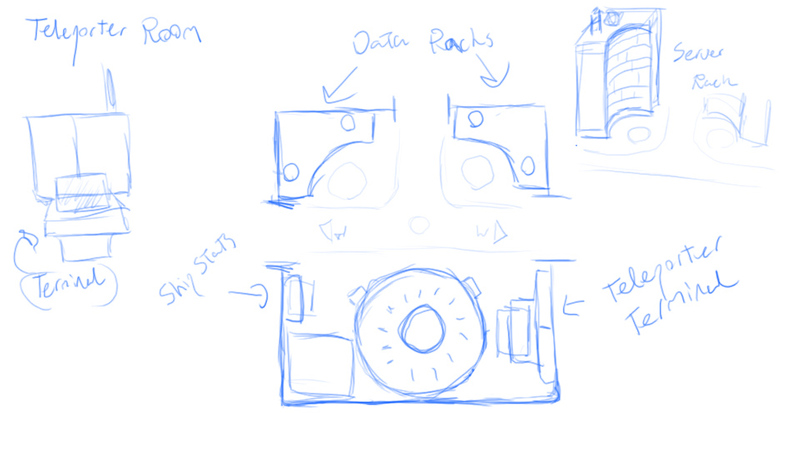 Dont mind the colours, I aint stressing out with concept work... its just a guideline. Looks like you've got a sensible layout going on. Much more thought out that the nonsense mess of the stargazer. I'm really looking forward to seeing your 3d work. Nice, nice, what poly limit are you working to? I've worked with the Unity Engine before, so I am trying to use an acceptable poly limit in comparison to the engine and what the Dev's are doing... while keeping detail. 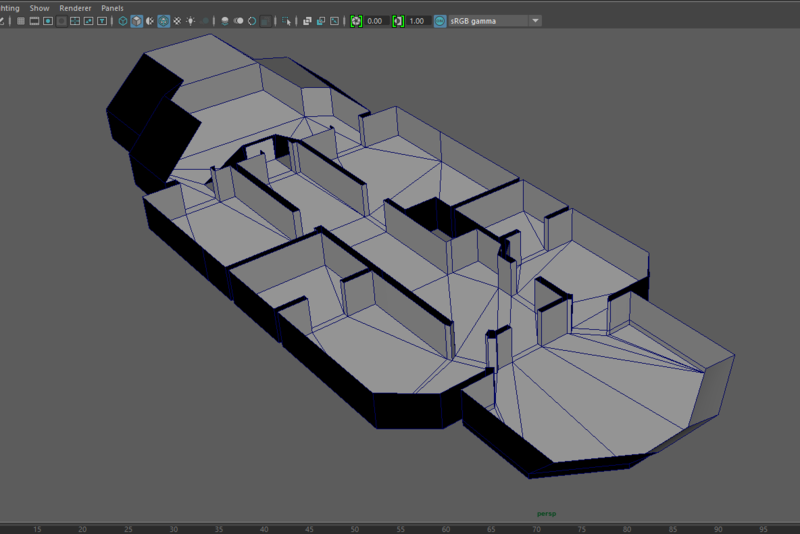 At the moment I am trying to keep the Poly count as low as possible without sacrificing detail or squaring things off.